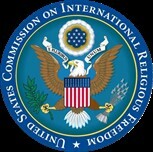 WASHINGTON, D.C. – The U.S. Commission on International Religious Freedom (USCIRF) commends the passage on June 6, 2017, in the U.S. House of Representatives, of H.R. 390, the Iraq and Syria Genocide Emergency Relief and Accountability Act. H.R. 390 would promote accountability for atrocities committed by the Islamic State of Iraq and Syria (ISIS) and address the urgent humanitarian needs of persecuted religious and/or ethnic minorities targeted for genocide, crimes against humanity, and war crimes. The Commission urges that the Senate swiftly pass this bill. The situation is worsening daily for religious and ethnic minorities in Iraq and Syria. Key entities that sustain genocide survivors are running out of food, medicine, and shelter. USCIRF urges the Senate to expeditiously pass H.R. 390 so that those who are suffering will have addressed their humanitarian, stabilization, and recovery needs. Dear Mr. Murray, After reading your letter, it was hard to sleep. Thank you so much for all you do, and I will be sending in my donation ASAP and mailing the letter to my Congress people today. Genocide is alive and well but I refuse to give into Satan’s evil. Until we realize that evil does exist and that there is a special place in Hell for those who know and do nothing, things will continue and never change. Jesus lai down his life for us, and this is how we repay his Holy Sacrifice. Where the Media is I cannot figure out, and our political leaders are no better than Mitterands with Hitler during WWII.